I am NOT offering fans, controllers or harnesses for sale here. You may use this info to build your own. Before I published this page I began a forum discussion about this project. You may find it here. During the summer of 2016 I began looking into creating my own relay-based cooling fan controller after experiencing a succession of failures over the years other commercially available fan controllers, such as Delta Current Control (DCC) and Flex-a-lite. All of these failures have brought me to the conclusion that variable speed fan controllers have some nice technology, but you should NOT expect MOST of them to be reliable for long if you're using a high current fan like the Lincoln Mark VIII. So I needed a better alternative. My experience over many years has been that standard relays are reliable. 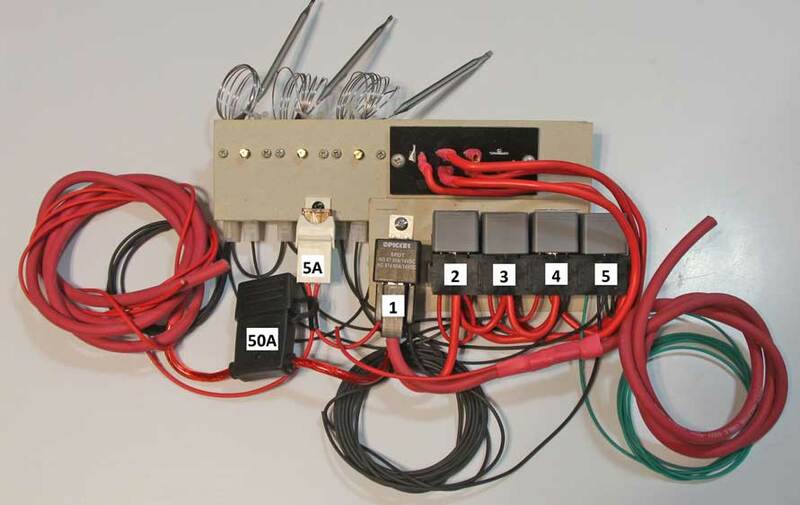 So as long as you take reasonable care when building a high-current relay harness, it will last a long time. <<< This was the last commercially available fan controller I used and it failed on me in 2016. That failure came really close to frying my engine. I switched to this Flex-A-Lite after the successive failures of TWO Delta Current Control (DCC) controllers one after the other. <<< This is the Flex-A-Lite 33054 "Variable Speed Controller." It was rated at 45 amps and I originally bought it thinking it was a PWM controller, since they advertise it as a "soft start' controller. I was disappointed after I discovered that this controller actually acts as a 2-SPEED controller, NOT as a TRUE variable speed controller. It has 2 speeds: Low speed is 60% and high speed is 100%. Most commercially available variable speed fan controllers on the market are not designed to handle the heavy loads that come with a fan like the Lincoln Mark VIII. Hayden offers a PWM controller (PN 3655) that, when checking, is limited to only 30 amps. That's not enough for a big fan like the Lincoln, which draws 40 amps at a steady 100%. Derale offers one (PN 16795) that claims to handle 65 amps, but their Amazon ratings show a lot of failures. Proform offers a digital variable controller (PN 69596). Proform does not list an amp rating, but their instructions limit you to a 16 inch fan. You should know most fans that size don't pull far less than 30 amps, so they don't really make a fan controller work very hard. What's wrong with DCC? I'm glad you asked. There are lots of people who love the Delta Current Control fan controllers. I loved them too once. 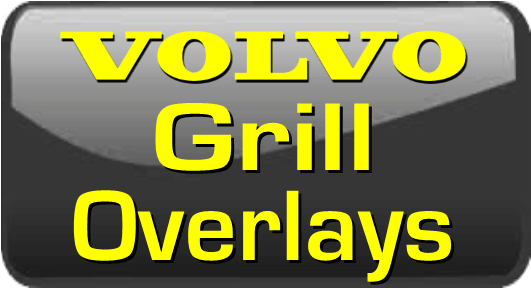 Their line of PWM variable boxes are enticing in their web site and the cost is fairly reasonable. The problem I had was when TWO of them failed one after the other. This was in my 240 (they lasted 1.5 to 2 years on average). 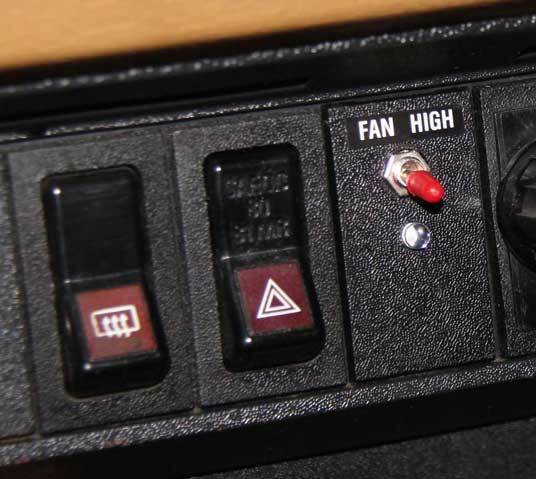 At that time I was using an early '90s Ford T-Bird fan, which pulls lots of current (around 35 amps). I had the largest controller DCC offered at that time (65 amps) which was installed according to their specific instructions. DCC has steadily increased their advertised current capacity in their controllers over the years and as of this writing their most powerful one will supposedly handle 95 amps. I can handle failures. I was even prepared to just buy another one. What I WILL NOT TOLERATE was my experience with DCC's NON-EXISTENT CUSTOMER SERVICE. When the last DCC controller failed, I ordered another on their website and paid with Paypal. I received no acknowledgement of an order. No follow-up email. And as the of weeks went by I emailed the owner (Brian Baskin) a number of times. My car was down the entire time! After six weeks had gone by with nothing, I finally filed a Paypal dispute and eventually got my money back. I never heard from Baskin. What kind of business does crap like this? Not a place I ever want to deal with again. They offer a 90 day warranty, but what good is that if they NEVER ANSWER EMAILS? They have the following statement in their site: "In a time when profit margins govern allowable failure rates, product features are determined by the opportunity of market exploitation, and the consumer is seen as no more than a short term item of commodity, the value put upon interim revenue is clear. We see things a bit different at Delta. We appreciate the value of our customers not as commodities, but as our best means of long term market expansion. There is no better advertisement than word of mouth." Ha! I agree there's no better advertising than word of mouth and here's MY word! I have seen a number of forum posts and received emails from other people who have had the same experiences as I had with them. I think I'll stay away from them. Also, I've been disappointed that so many of the high-tech fan controllers offer ONLY threaded screw-in temp sensors designed to go into your engine (or maybe so you can have a custom bung welded in your radiator?). I know radiator fin probes don't have as good a reputation, but I've used them successfully for many, many years and they work pretty well when you can find a good position. Why don't more companies offer more options? Many do not. 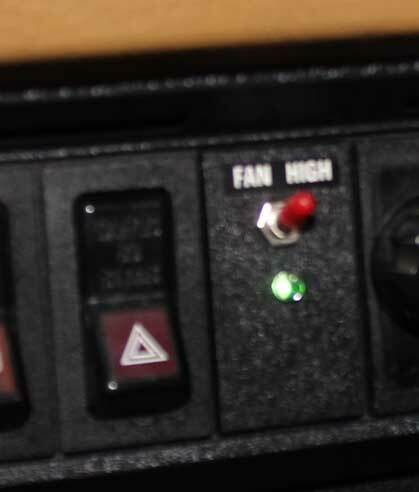 While I'm registering complaints about options, I've also noticed that if you want a fan controller to increase to a higher speed when your AC comes on, the ONLY option seems to be 100%. Really? That seems really short-sighted. 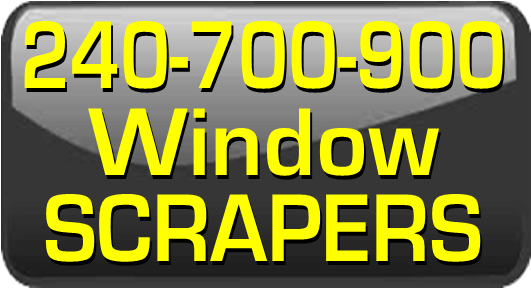 What if you want only 60, 70 or 80% instead of full speed for your AC? If you're going to the trouble of building a high-tech PWM controller, isn't that a simple extra to add? Maybe AC fan speed is not really an important thing to fan controller engineers. So far I have only found ONE company producing high amp PWM controllers with an ADJUSTABLE AC SPEED: http://www.autocoolguy.com/. I didn't discover this company until AFTER completing this relay controller project. This company also offers an alternative to a screw-in temp sender (not a fin probe). It's a thin sender that slips in under your radiator outlet between the hose and outlet tube (for radiators with metal outlets only). It's a nice change to see someone offering more options rather than the same old garbage. So as you may have noticed, I'm using a Lincoln Mark VIII fan and shroud (1997 model) mounted on a large 26 inch wide Griffin aluminum radiator. I decided to try building my own fan controller using simple, reliable relays to see if I could make it work the way I wanted and I wanted one that would LAST. 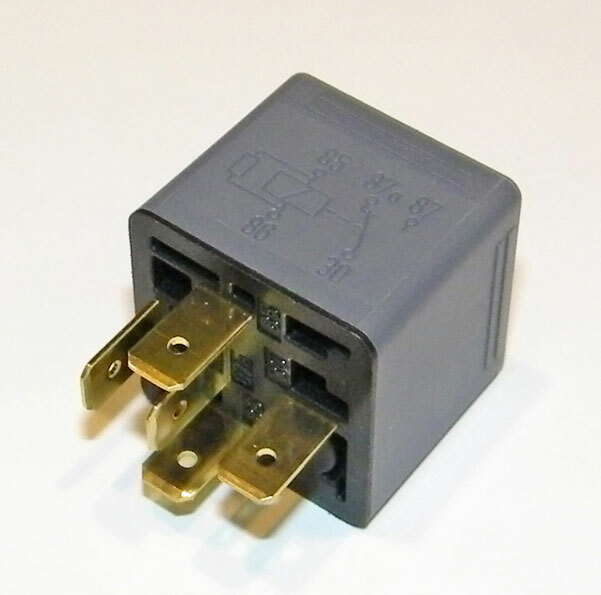 There are people who will warn you that using relays is risky, since relays can be slowly damaged from turning on high-current motors over and over. This may be true, but It's my opinion that it would takes years and I doubt the damage would come anywhere close to having a high-tech controller meltdown every 1.5 to 2 years! If you have any questions or comments or if you decide to use this info to build something like this for yourself, I would like to hear from you. NOTE: I used the first diagram above when completing this project. I have not tried the alternate diagram above. This setup will work for any 1 or 2-speed cooling fan. If a 2-speed fan is used, I suggest using the high circuit only. I opted for using multiple adjustable temperature probes as shown. 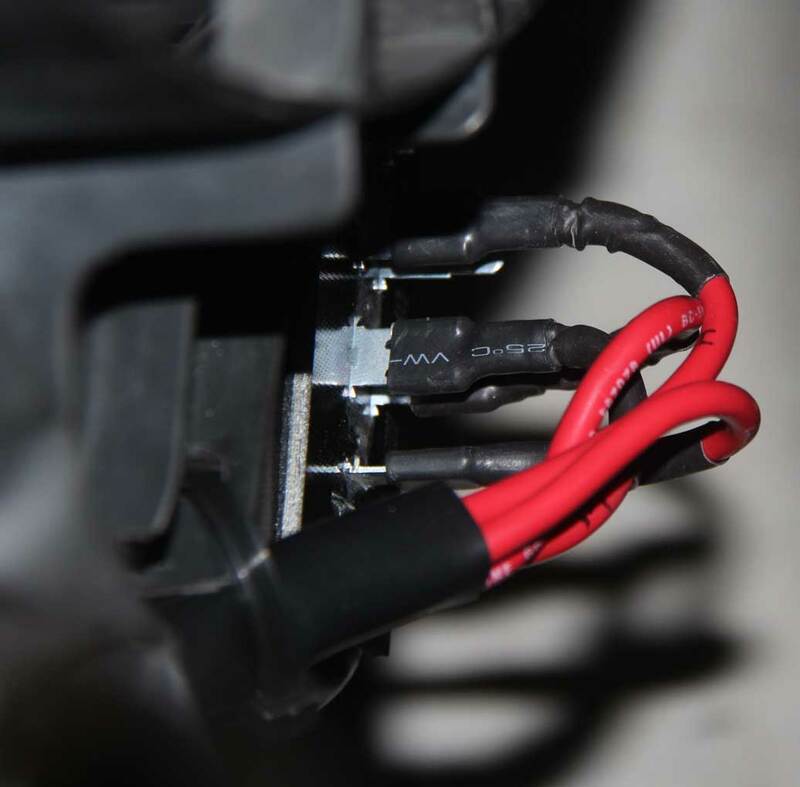 The probes can be mounted on or inserted into radiator fins or into a coolant hose for direct coolant contact. 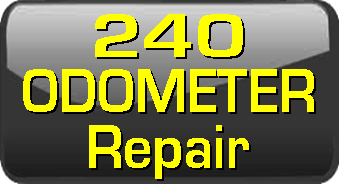 This allows you to custom set each speed setting to a precise temperature set point for your car. Starting and fan speed ramp-up should be smooth if starting at a lower speed. 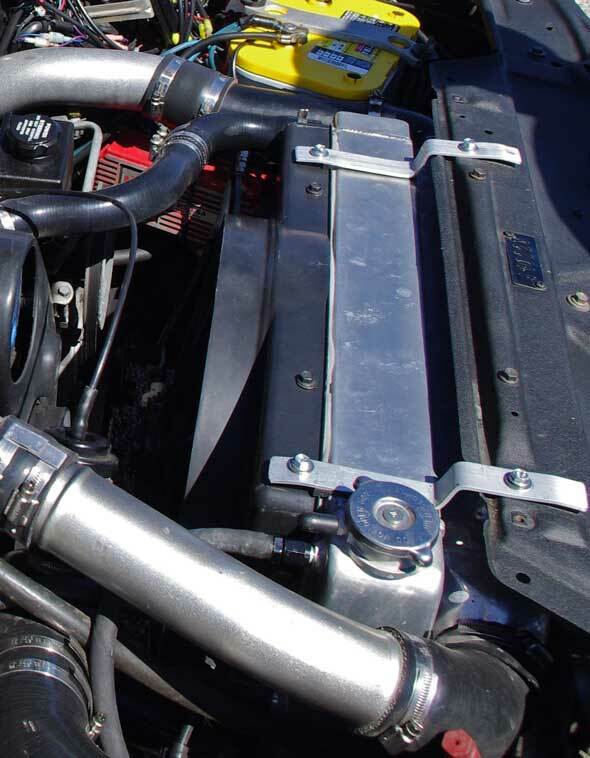 Of course you may instead use any type of temp senders you like and mount them whereever, such as in the radiator, engine or hose, however I don't know of any others that are so simple AND ADJUSTABLE. There are TWO different diagrams above. Either will perform the same function. You may refer to them as I explain how this is done below. I have designed this to allow the cooling fan to remain OFF until your low temp set point is reached and the sensor activates power to the low speed relay (Relay 4). Since this low speed will only allow a low amperage current value, it starts the fan softly, without the heavy drag you would get normally from starting a high-current motor. This low speed can be used to maintain cooling at idle with minimum fan use, but this would depend on the fan speed chosen for the low speed. There are a few choices. When your temperature climbs a little higher, the SECOND sensor will activate the next relay (Relay 3), automatically cutting power from the lower speed relay (Relay 4). This way only ONE CIRCUIT will be powering the fan at a time. 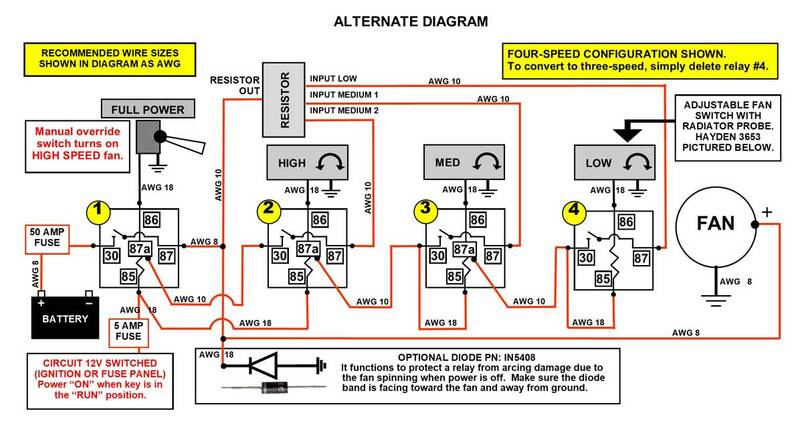 This successive function works for each relay to increase fan speed as temperatures rise. Why not? I know two speeds is definitely not enough for a Mark VIII fan, because the full speed is serious overkill most of the time. Three speeds might be ok and the above diagram can easily be adjusted to make it into a 3-speed controller by simply eliminating relay #4. Four speeds just seemed about right to me. 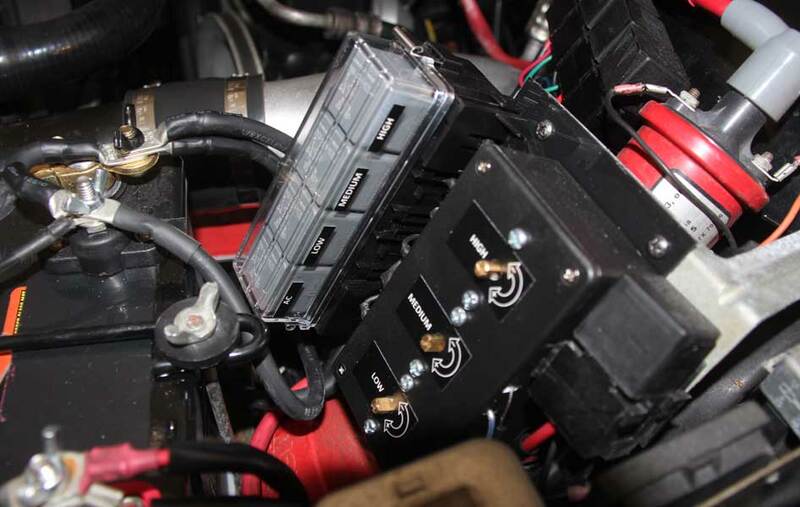 Heck, you can even build a 5-speed harness using these components by adding just one more relay. But I chose to do four speeds. The amperage capacity for the high speed relay (Relay 1) will depend on the fan you use. Most 15 inch or smaller fans (such as those found in Volvo 960, 850, S80) can get by with a 40A relay for the high speed (however I suggest 50A). 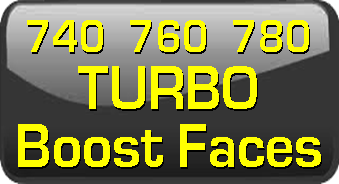 A larger fan, such as the 17-18 inch Ford Taurus/T-Bird/Lincoln Mark VIII fans, should use a 70 or 80A relay. These big fans can pull 35-40 amps continuously at full power, so power and ground cables for these fans should be fat, such as 8-10 gauge (AWG). I'm using 8 gauge even though it's overkill. 10 or even 12 gauge would probably be fine. The 8 and 10 GA cables I'm using for my project are high-flex fine strand type. 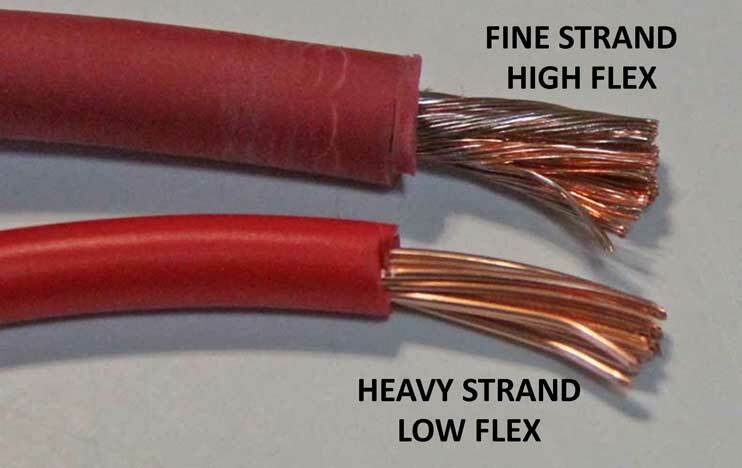 Cables in 8 gauge and larger can usually be found sold as welding cable. I found them sold in reasonably short lengths on Amazon so you don't need to buy them in large spools. Fine strand cable has much finer strands than common automotive cable. 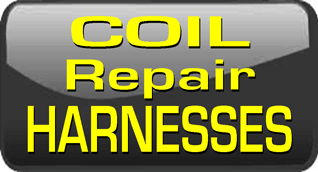 I'm willing to pay a liitle extra because I've grown tired of dealing with stiff, large strand cable that's hard to form tight bends and breaks easier after years of long-term vibration. 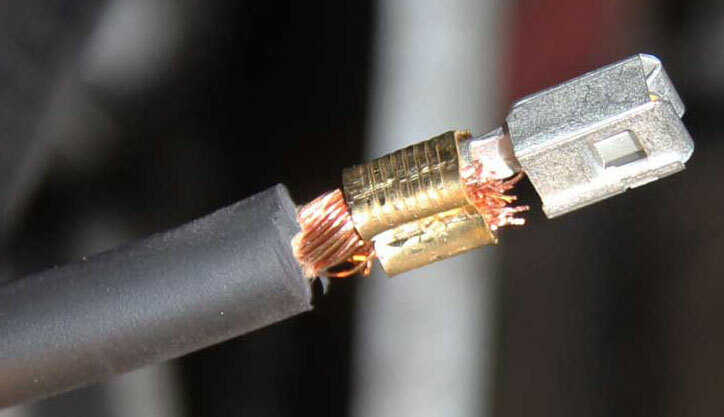 Maybe you don't think a big fat cable can really snap from vibration. I found out when a 4 gauge alternator cable snapped off at the alternator lug after about 4 years of use, stranding me on a long trip. 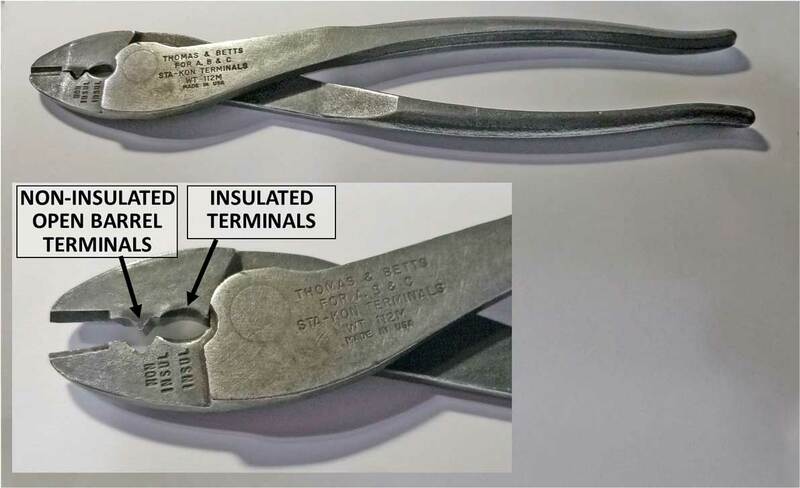 Here's a wire gauge guide that you may find useful. It shows minimum recommendations for wire size based on length of wire and current draw in amps. If you pay close attention, you'll find I used larger cables than required. That's ok in my book. Just don't use smaller than minimum. This relay is not shown in the four speed diagram above. 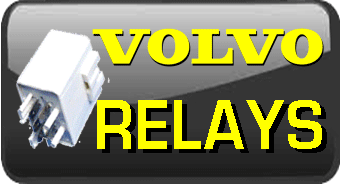 This optional relay will override all other relays (except for the full power relay operated by an override switch). Since my preference was NOT to use 100% speed for the AC, my idea was to wire this relay to the "HIGH" relay, which actually runs below full power (this turned out to be 77% in my case). The 12V switched wire at terminal 85 gets connected to the power wire that activates your AC compressor. 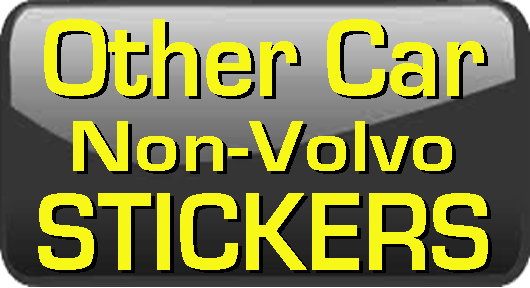 NOTE: Or if you have an '84 to '89 Volvo 240 you may use the AC power 'ON' wire, which is the Red/White wire going to the AC microswitch (attached to the AC knob switch in the center dash). 1. Full Power 100%: SPDT rated at 80 amps. 2. High: SPDT rated at 40 amps. 3. Medium: SPDT rated at 40 amps. 4. Low: SPDT or SPST rated at 40 amps. 5. AC: SPDT or SPST rated at 15 to 40 amps. SPST (Single Pole, Single Throw): This type relay will have an 87b center pole. SPDT (Single Pole, Double Throw): This type relay will have an 87a center pole. 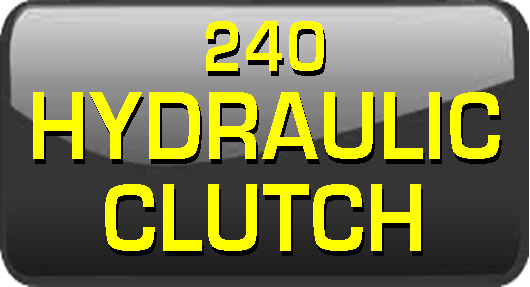 Also known as a changeover relay. SPST vs SPDT Relays. What’s the difference? 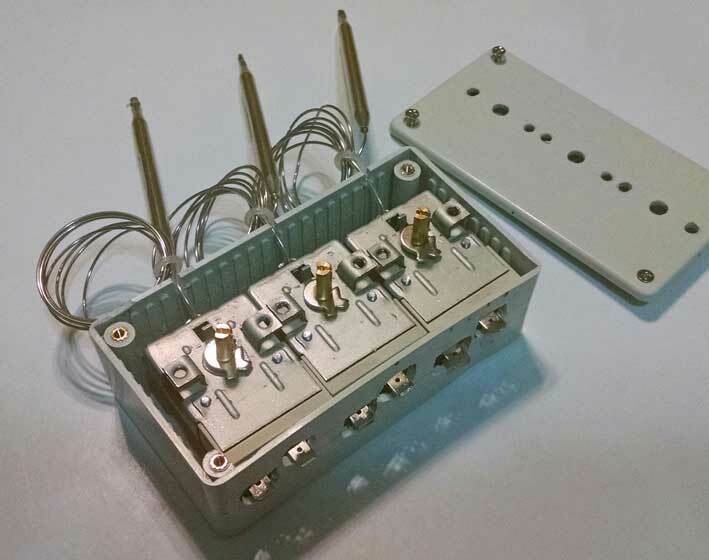 Single Pole, Single Throw (SPST): This relay will be identified as having a middle 87b spade (or sometimes no middle spade at all). 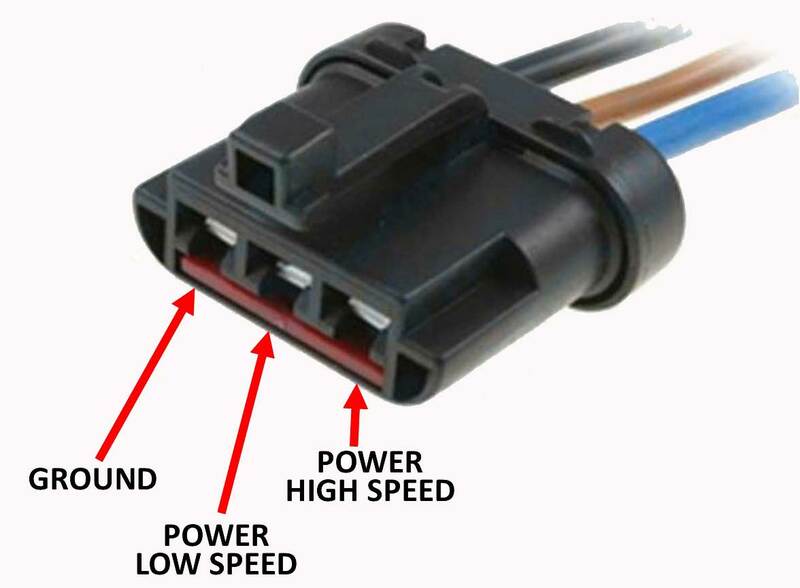 This is the most common relay used for fog lights or other simple circuits. 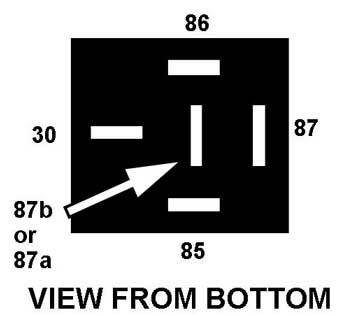 If there is a middle 87b pin, that pin will have power whenever there is power to the 87 pin. This way the middle 87b pin may simply be used as an extra power output. Single Pole, Double Throw (SPDT): If you have a relay with an 87a pin in the middle, it's an SPDT relay, also called a "changeover" relay. In a changeover relay, the 87a pin will be “HOT” anytime the 87 pin is "OFF," so long as the relay is connected to power. So when 87 is "OFF", 87a will be "ON". When 87 turns "ON", 87a will turn "OFF". <<< The Hayden 3653 adjustable temperature probe sensor pictured here can be purchased from Amazon or Summit Racing for about $20 each. It's only rated at 16 amps, so it really should not be used for a fan without a relay. 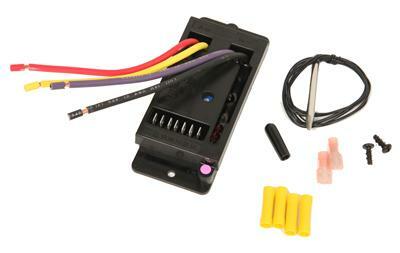 This mechanical sensor may be used to trigger a 12V circuit or a ground circuit, either one. For my project I chose to have it complete ground circuits. The male terminals on the side are typical .250 inch (6.3 mm). According to Hayden, the temperature range is 32°F to 248°F (0°C to 120°C). Turning the trim pot CLOCKWISE increases the temperature set point; COUNTER-CLOCKWISE decreases it. 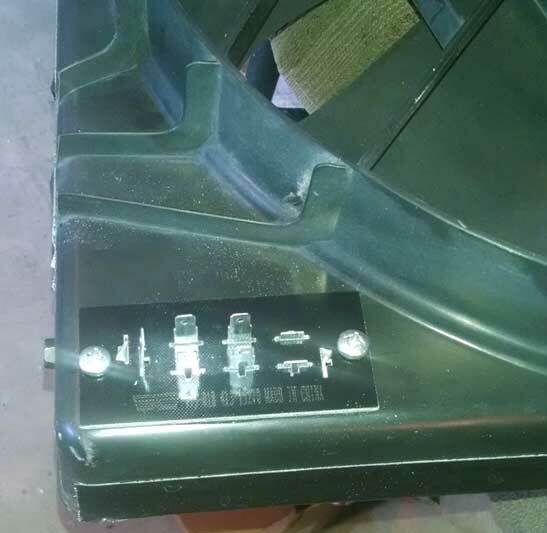 The kit comes with a mounting bracket, some screws, some .250 inch insulated terminals, some wire and some mounting parts for the radiator probe. I've noticed at least one high-tech fan controller company ridiculing anyone using one of these in a car. The thing is, it's SIMPLE and SIMPLE THINGS FAIL MUCH LESS OFTEN in my experience. Why do I call it simple? Because it's MECHANICAL, not electronic. Many complicated high-tech fan controllers don't have such a good track record, so I wouldn't spout off too much. Dimensions for this item are about 2 x 1.4 x 1.2 inches (51 x 36 x 30 mm). <<< The resistor board for this project can be a simple automotive heater fan resistor like this one. 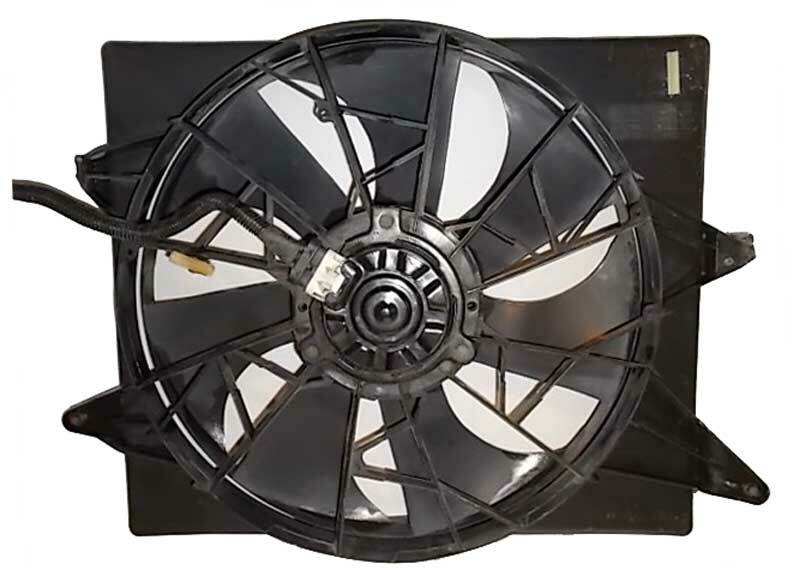 This is Dorman 973-018 made for a 1990-96 Chrysler/Dodge 4-speed fan. It's easily found on-line. Cost is under $10.00. This is designed to use .250 inch (6.3 mm) female crimp terminals, but I found that .312 (7.9 mm) female headlight terminals I had on-hand are a better fit and they have a much better (larger) contact surface. Better contact is good, since I'm using 10 gauge wire here. <<< This resistor board offers four speeds to choose from. I am only using three of them (plus a full power relay for full speed). I measured the resistance values for each circuit on this board and included those below. There are more test results below. Yes, the resistor coils can theoretically get hot when this circuit board is in use. It would be best to place this thing where your fingers won't be tempted to touch it. <<< I mounted mine in the lower left fan shroud. I have taken temp readings from this resistor board when the fan is running and have found it so far to be not much higher than the shroud ambient or radiator ambient temperature. To those of you who cried out that this resistor board would MELT, sorry. DIDN'T HAPPEN. BENCH TESTING to see if it works. It was important to me to first see this work and get some good test results for this build before I committed to installing it in my car. I needed it to actually work as expected. So I built a bench-test version with all the components shown so I could get some real performance data. 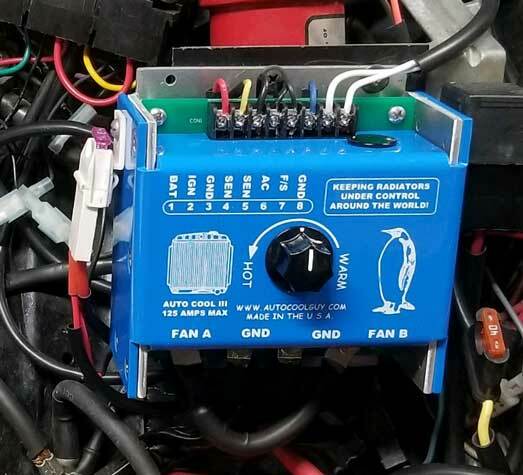 It's important to keep in mind that this fan controller was tested on my car with the Mark VIII fan fully installed and mounted to my radiator with an intercooler and AC condenser in front of it. I felt that if testing was done on a fan out of the car, the fan would likely pull less amperage with higher RPMs. That would not be very realistic. This first test was done with the engine OFF, so the battery voltage was not as high as it would be if the engine was running. 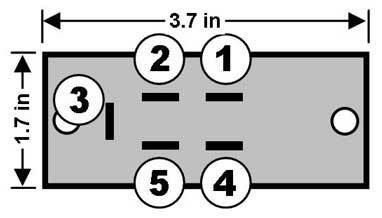 Dorman 973-018 4-speed resistor pinout shown below. Resistor pinouts from relays shown in above photo. **Peak spike amps were measured when ramping from 77% to 100%. Ramp up from zero to 100% was not recorded, but it's generally known that it can be as high as 100 amps for the momentary initial in-rush of current. My first suprise was seeing how the HIGH circuit (through Relay 2) produced a number so much lower than 100%. That 77% figure was not a disappointment at all, since it offered an opportunity for an extra speed choice below 100%. Using fan speed figures like this, you can decide which circuits or resistors you want to use for the fan speeds you like. That low 26% speed might sound ok on paper for a low speed, but once I saw how slow that actually ran the fan, I felt differently. It was too slow for my use. You can see in my diagram up near the top of the page I had originally listed this 26% for my LOW speed. The reality was that it was too low on my car with an intercooler and AC condenser blocking the radiator. So I decided to not use the 36% speed as my LOW speed instead. That 26% speed might work for a car without an intercooler and AC condenser blocking the radiator. Every car is different. Another test was done after the full installation of the completed controller. Using running battery voltage (voltage readings below). Since the 26% speed was not used, it was not measured here. I have a 188 degree Fahrenheit coolant thermostat in the engine and the 36% speed seemed to do very well to keep things nice and cool at idle on a warm 85 degree day. If the climate is warmer, then the medium 55% speed may come on occasionally. Keep in mind that every car is different. My car has a very large aftermarket AC condenser (with dual fans) and an intercooler in front of the radiator. 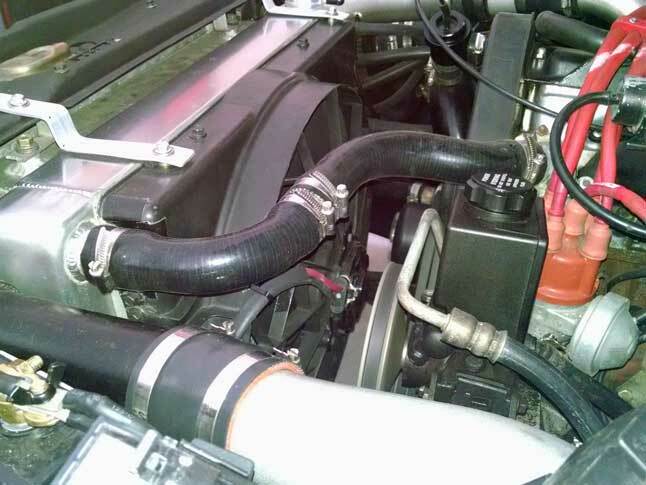 Those items obstruct the flow of air to the radiator a lot when compared to car without those items. The final speeds I chose have turned out very well. 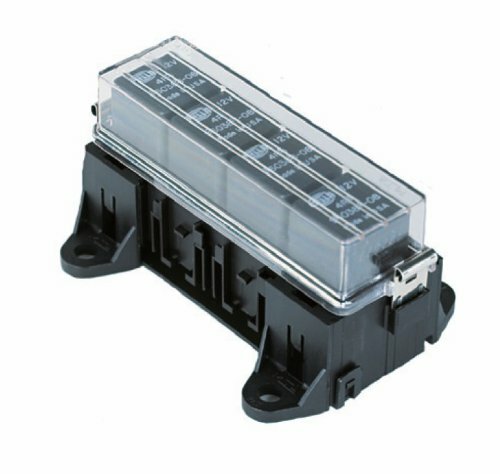 Hella H84988001 Four Relay Sealed Box. Available on-line for about $40 to $50. Pricey, yes! If you're concerned about moisture messing with relays or maybe you just want them to look nicer, this may be a solution. Keep in mind this box is NOT waterproof. There is an o-ring sealed lid, but the bottom is not sealed at all. NOTE: The high-current 80A (full-power) relay will NOT fit in this box, since it uses a couple .375 inch terminals instead of all small .250 inch terminals like standard relays. This box holds only standard relays. The 90 degree mounting ears are removeable and supposedly you can connect two or more of these boxes together side by side. I found an ABS project box to fit the three Hayden sensors and to help make this installation look nicer. 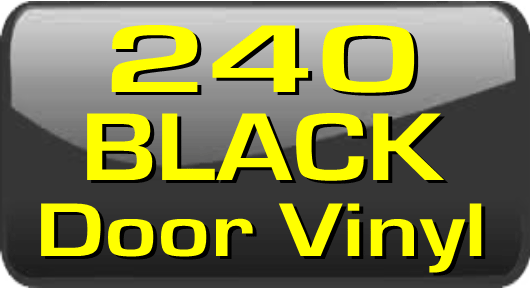 There are a lot of sizes out there for boxes in a couple colors, including black. This box is 4.7 inches long x 2.6 inches wide x 1.4 inches tall O.D. (found on Amazon). I had to do some grinding on the inside to make everything fit inside. A larger box would have been easier, but I wanted it as compact as possible. Cost was about $6.00. The box was painted black before completion. Since doing this I found a better sized box that I probably would have chosen instead: >>> https://www.polycase.com/lp-55p. Its dimensions are 5 x 3.5 x 1.5 inches (127 x 88.9 x 38.1 mm). It would likely have been a better fit and I think with little or no cutting and carving. <<< Ford Fan Motor Connector. 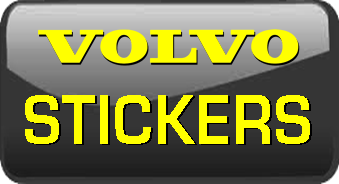 Fits a variety of Ford/Lincoln/Mercury fans, including the Mark VIII fan I have. A google search will find them in a few places. I have only found them available with 12 gauge wire pigtails. In my opinion that's a bit small for such a fan. I 'm using 8 gauge welding cable. 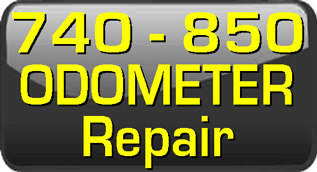 <<< Dorman Conduct-Tite Terminal, AKA: Ford Standard Block Technician Terminal. This is the type of terminal that goes into the Ford fan motor connector. Dorman offers PN 85367 which fits 14-16 gauge wire and is available on line. A 10-12 gauge version would be more appropriate, however so far it has NOT been found. If anyone can help with any real sources, please contact me. <<< So I improvised and sucessfully used the 14-16 gauge terminals since I couldn't find larger ones. I added one of my large terminal overcrimps to make a solid crimp over the 8 gauge cable I used. Inserting this into the back of the Ford connector housing can be a little tight. I opened up the holes on the back of the connector to accommodate this fat cable. If necessary, a little trimming of the inside of the housing with a hobby knife will help it go in and click. Mine went in and clicked in place without an issue. 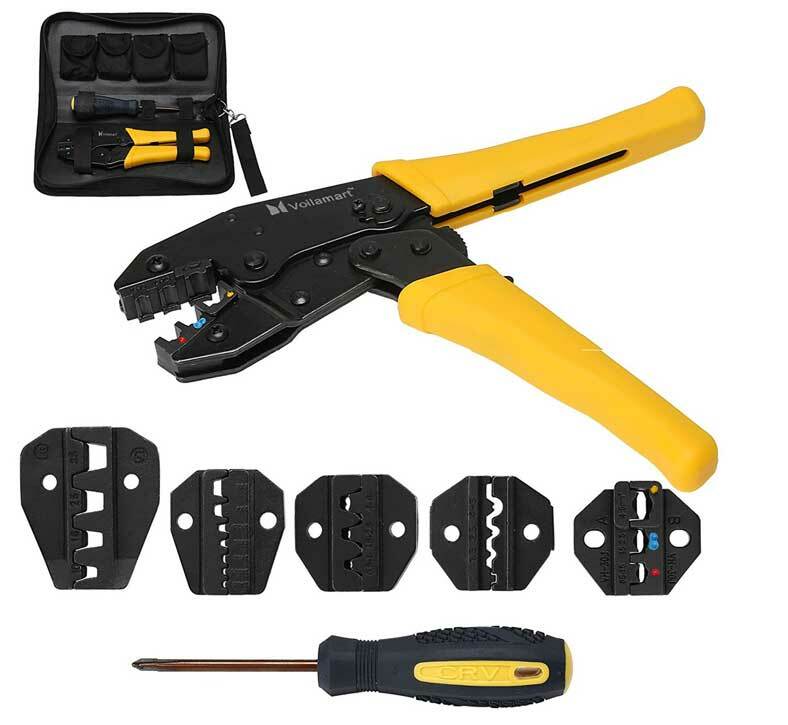 <<< PROPER CRIMP tools are important. Try not to use too cheap a crimper or the wrong type for the terminal you're using. Buy yourself something at least as good as this one. For those of you who are curious about what crimper I use, this is it for 90% of my crimps for non-insulated (and many insulated) open barrel terminals. Thomas & Betts model WT 112M. It runs about $45. I've had this one for 20 plus years. With some practice, this simple tool can create nice crimps just like a fancy tool. <<< For a tool that's a bit more fancy, look for a ratcheting crimper that will do open barrel F type terminals. You can spend a lot of money on one of these tools, but it you hunt carefully, you can find something like this one, which is only $31 for all that stuff. Although sometimes you get what you pay for. The crimp type normally used for open barrel terminals I offer in my page is the die set in the center. The others might come in handy, so they would be a bonus. I don't own this one. My fancy racheting crimper was about $80 ten plus years ago from Summit Racing. This one is cheap and might be worth the cost, or it might explode. You can never really tell until it's in your hands. 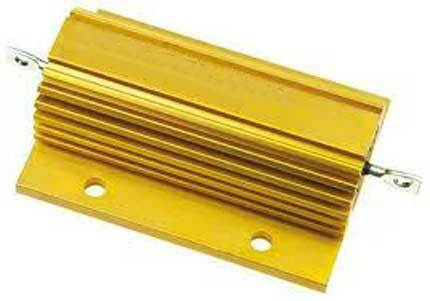 <<< This is an aluminum Chassis Mount Resistor. It is NOT something I have tested or used in this project. 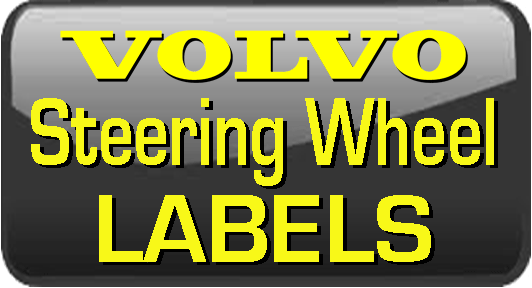 The reason this info is here is because It has been suggested for durability, particularly in corrosive or wetter environments. Some of you might want to consider a different style resistor instead of the Dorman resistor board I used. 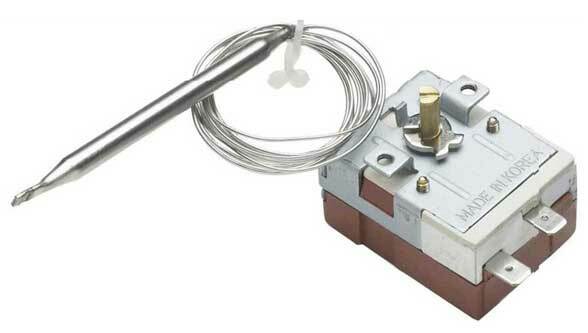 Most of the suggestions people have sent have been pointing to ceramic automotive resistors, such as those used for ignition, AC and cooling fans older cars. The problem I encountered is that there are very few choices for varied resistance values in ceramic, so it may take a lot of trial and error to get that working well. So I began looking at these Chassis Mount Resistors. The dimensions for the models listed below are 65 x 47 x 26 mm (about 2.5 x 1.9 x 1.25 inches), they run about $10 each and they're rated for WET CONDITIONS. Most cermamic resistors have only a 30-40 watt capacity. 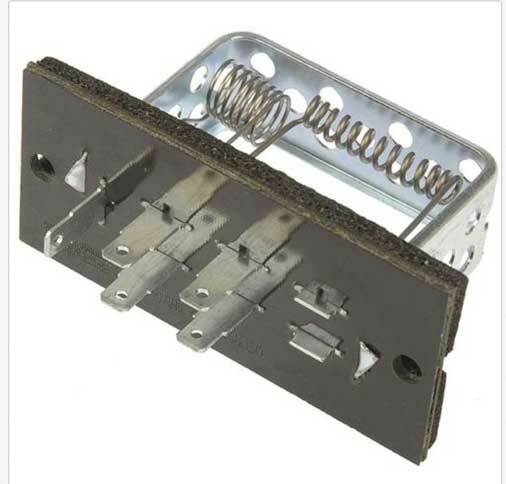 The chassis mount types I have listed below all have a 100 watt capacity. You would need three of them to come close to duplicating the three speeds I have achieved with the Dorman resistor board, however I have not tested any of these yet to see what speeds they will actually generate. Since the four ohm values I found in the Dorman resistor board were 0.3, 0.8, 1.4 and 3.1 (I'm only using 0.3, 0.8 and 1.4 ohms), you can try some that are reasonably close to that, such as 0.22, 1 and 1.5 ohms. 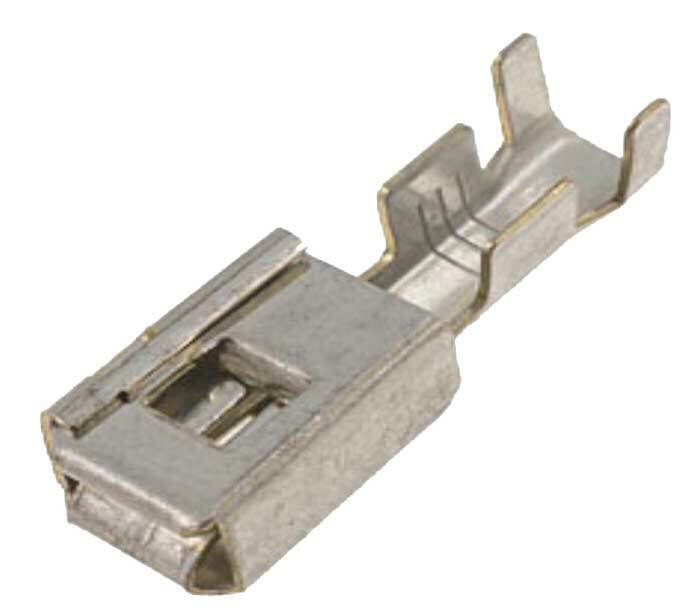 A source I found for these is DigiKey Electronics: http://www.digikey.com/product-search/en?keywords=resistor. If you incorporate something like this in your build, please email me. I would like to know how your project goes. CONTACT ME. After TWO years of use, this controller has worked perfectly. Zero glitches or worries. That's nice for a change. <<< Here's the full setup installed in my 240. As you can see I opted for the fancy Hella relay box. 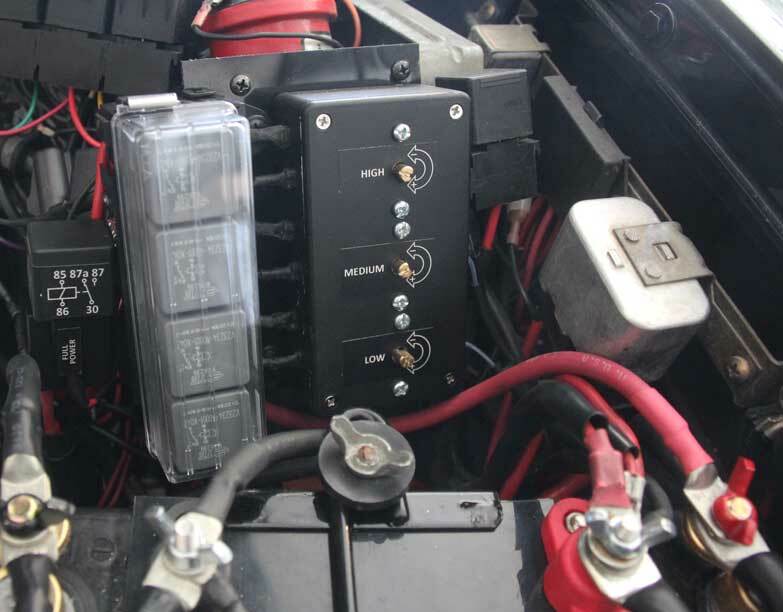 Those four relays in the box are for AC, Low, Medium and High speed. <<< Another angle. That relay on the left side of the Hella box is the 80A full power relay. It's triggered by the override switch on my dash. Hopefully it won't be needed, but it comforts me to have it just in case. This setup has been used in 105 degree plus Texas climate it works exceptionally well. The 77% speed I chose for the AC works very well also. <<< Here's another view of the Dorman resistor board mounted in the lower left corner of the fan shroud. That is 10 gauge high-flex wire. 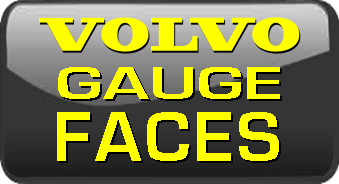 The terminals are .312 inch (headlight terminals), since I found they actually fit better and provide more contact area than the .250 inch terminals that are normally used on there. There are people who thought this resistor board would melt. Two years later and all is working perfectly. So there you doubters. <<< This is worth mentioning if you decide to used a Hayden 3653 temp sensor. It concerns mounting the radiator fin probes in or on the radiator. This image is from their instructions. 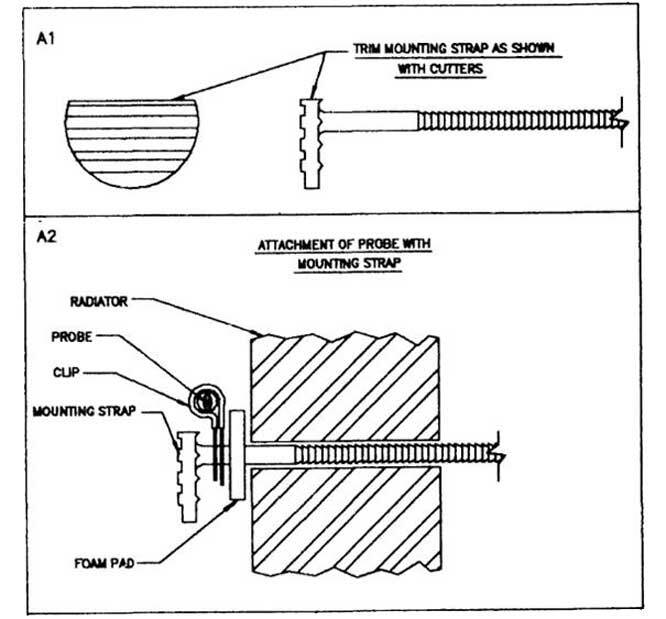 They supply the shown probe mounting parts and tell you to mount the probe in a supplied metal/rubber mounting strap that is then isolated from the radiator by a foam pad. THIS IS A REALLY BAD IDEA. What this does is delay radiator temps from quickly transmitting to the probe. The delay with mounting it this way is substantial. It has slightly less of an effect when hot air from the radiator is blowing through and past the probe, but there will be signiificant delay when warming up the engine (if the fan is not blowing) or if the car is not moving and air is not flowing yet. The delay will be such that the radiator will heat up PAST the setting you want for the fan to come on, so then your fan comes on late. Then it will DELAY the fan from shutting down as the radiator temps drop off, causing wide swings of the fan on/off cycle. You'll curse Hayden because you wont be able to accurately dial in your settings. It's just bad. Don't follow those instructions. <<< DO THIS INSTEAD: The probes that come with these units are a bit fat and would not slip into my radiator fins without a lot of force. This may be why Hayden wrote those instructions that way. 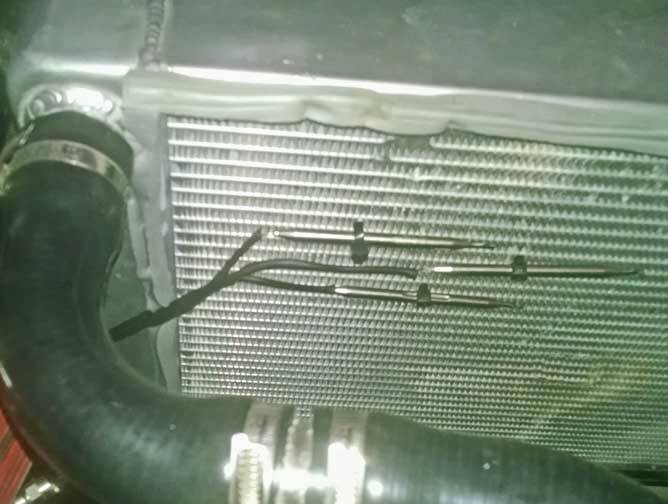 I didn't want to risk damage to my expensive aluminum radiator by bending things and forcing the probes in, so I mounted the probes tightly against the radiator fins as shown in this photo using thin zip-ties. While it might be hard to tell in this photo, the full length of each probe is very snug against the radiator fins and they have good, solid contact. Sensor activation with this method is quick and accurate. Faith in Hayden has been restored. <<< Here's the override switch I placed on my dash. The small LED bulb below the switch illuminates green when the fan is on. <<< The LED turned out to be too bright with full 12 volts, so I added a 220k ohm resistor to the power wire. Now it seems just right with a low green glow. (These are the parts I can remember. 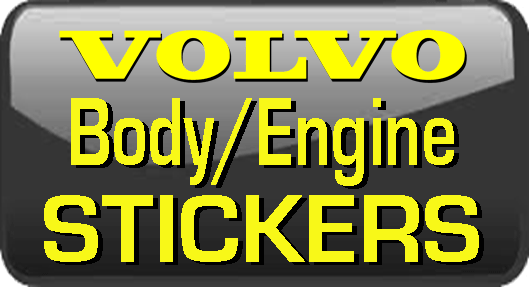 Some items are available in my Relay Page or Harness Parts Page if needed). Fuse holder (maxi fuse) with 50A fuse (8 gauge wire). Qty: 1. Hayden 3653 adjustable temp sensor. Qty: 3. Resistor pack - Dorman 973-018 4-speed fan resistor. Qty: 1. Diode - PN IN5408. Qty: 1. Wire - 8 gauge (high flex welding cable recommended). Qty: about 8 feet red. Wire - 10 gauge (high flex marine grade recommended). Qty: about 2 feet red. 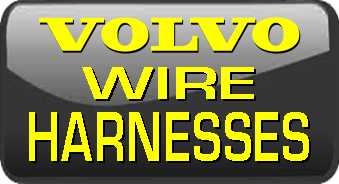 Wire - 16-18 gauge auto primary wire. Red and black. Qty: about 8 feet red and black. Heat-Shrink Tubing - Varies sizes (maybe 3/8 to 1/2 inch) in black or red and black. Toggle Switch - On/Off for high speed relay override wire. Dash mounted. Qty: 1.